Feeling crafty last week, I realised how plain above my bed was. I have a queen ensemble with no head, only white paper lanterns and it was getting kind of boring. 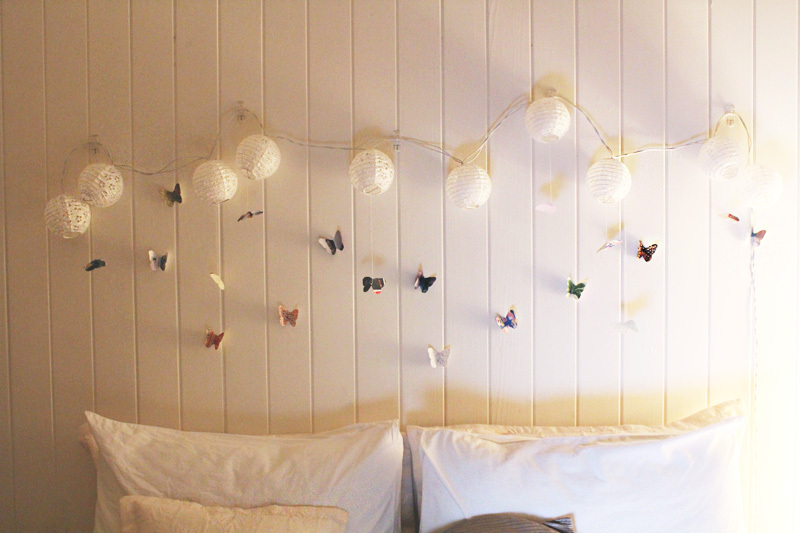 I decided to make myself some little paper friends to hang above me while I sleep. 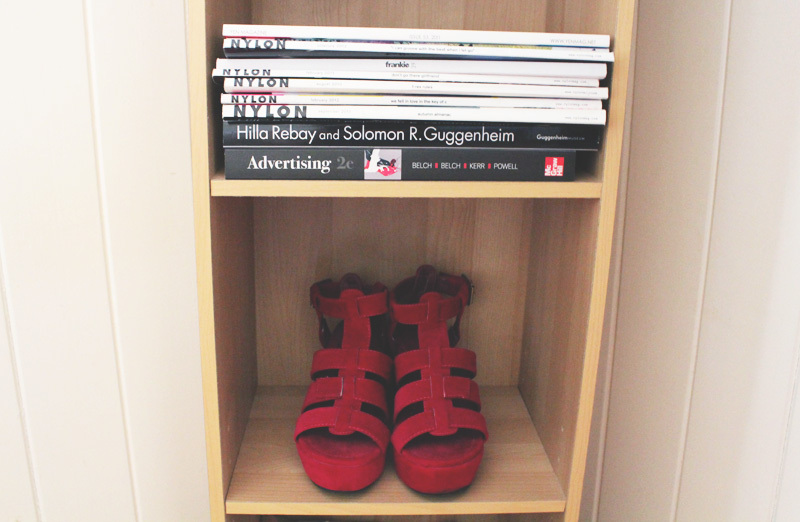 I didn't have any pretty paper on me, but I did have a few magazines I was finished with. I chose a copy of Frankie from 2011 because of its stiff paper pages. 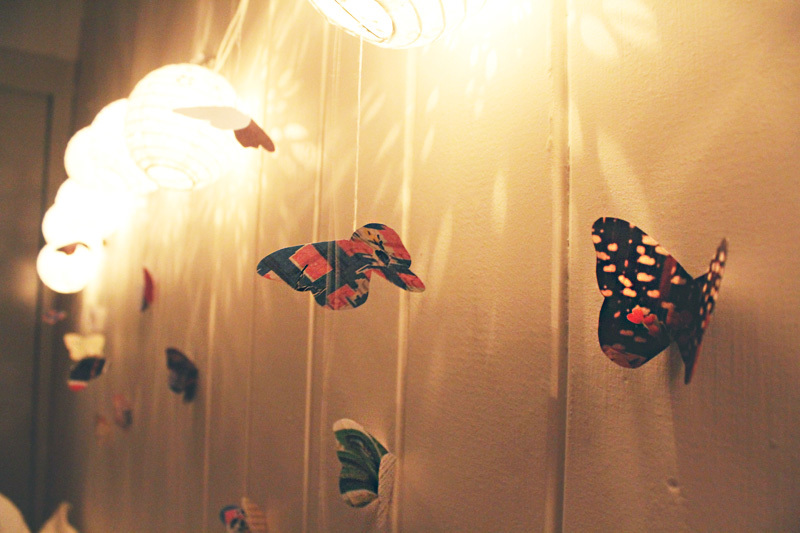 Butterflies symbolise mind and soul, so I thought they would be the best choice for the project. To make a stencil, I held a thin piece of white cardboard over an outline of a butterfly on my MacBook and traced the edges with a soft marker. 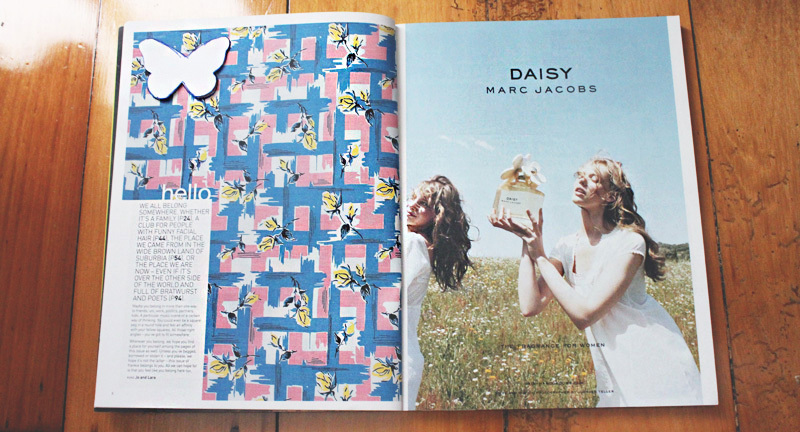 I traced out butterflies on various pages of the magazine and cut them out. Some were hung by threading white cotton through the paper and attaching it to my lanterns, and others were simply blu-tacked to the wall. I didn't take 'before' photos, but there is definitely a more cozy feel to my room now. 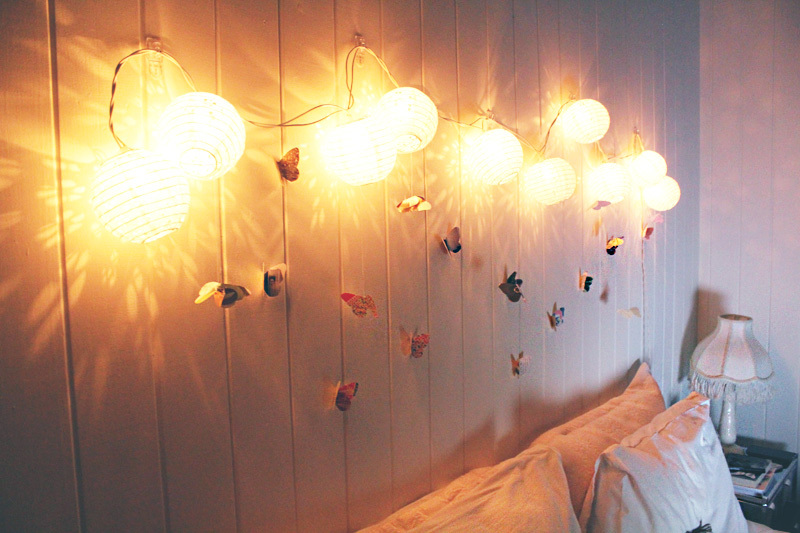 It's even better when the lights go out and the lanterns go on. These photos don't do the butterflies a great deal of justice; it's much more magical in person. You'll just have to make your own to see.